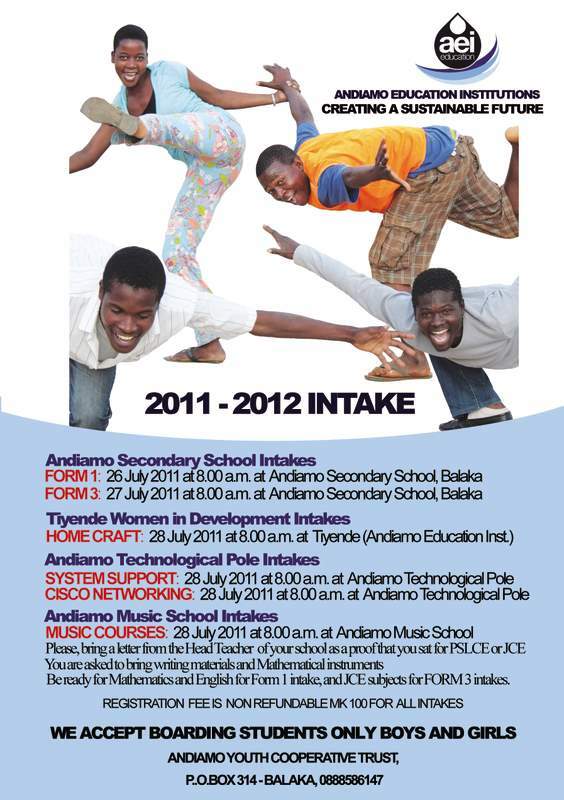 30 students sat for secondary school entrance exams at Andiamo Private Secondary School today on 26th July 2011. According to the headmistress Miss Margret Mphwiyo, students were given General Science and English as entrance exams for form one class. Other students are expected to sit for entrance exams tomorrow for form three class.